Is the history of computer science solely a history of progress? I don't think so. Judge for yourself by reading the present post in which I scrutinize the famous textbooks of John E. Hopcroft and Jeffrey D. Ullman. At a first glance, both quotes seem to contradict each other. (And then I could rest my case: the history of computer science is indeed one of confusion.) How can a Turing machine be both “not perfect” and “accurate”? But, actually, I have taken each quote out of context. The first quote belongs to an introductory chapter on complexity theory (where time and space bounds matter) while the second quote appears in an informal chapter on Turing machines (where the sole distinction of interest is one between decidability and undecidability). An engineer who models (i.e., implements) the Turing machine with a real computer. A scientist who mathematically models the real computer with a Turing machine. For an elaborate distinction between an engineer and a scientist see my previous post. The authors then note that “this argument is questionable,” since the “physical resources to make disks are not infinite.” Subsequently, the authors ask their readership to be “realistic in practice” so that the aforementioned simulation carries through [7, p.372]. Fine with me, but then we are stepping away from a purely mathematical argument. That is, “simulation” acquires an engineering connotation. Coming then to the simulation of a computer with a Turing machine (cf. 2. ): to do this in polynomial time, the authors now introduce a finiteness constraint — which should be contrasted with the aforementioned supposition that, practically speaking, there are an unbounded number of resources. Specifically, the authors do put “a limit on the number of bits that one computer word can hold” in order for the proof to work out [7, p.369]. Fine with me — and there really is no contradiction here, so don't get me wrong — but the choices made are clearly modeling choices so that the overall argument works out in the first place. a carefully-chosen digital abstraction (i.e., a mathematical model) of a real computer. Hopcroft et al. are merely perceiving real computers in a specific way, i.e. in compliance with classical computability theory. They are implicitly working with a particular mathematical model of a real computer, not with a real computer itself. A computer can simulate a Turing machine. A Turing machine can simulate a computer [7, p.362]. A computer can model (i.e. implement) a Turing machine. A Turing machine can mathematically model a computer. The previous statement only holds if the authors have demonstrated an isomorphism between Turing machines on the one hand and real computers on the other hand. But they haven't. The isomorphism that they are considering only holds between Turing machines and their carefully crafted models of real computers. Moreover, is it not possible that if we look inside a real computer and refrain from mapping our observations onto our favorite mathematical objects, that the computer is, in some sense, doing something for us that Turing machines do not do? 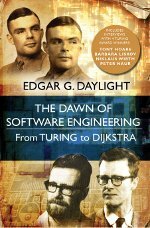 Only if we look at real computers with our traditional spectacles — in which partially computable functions are the preferred objects — can we equate the Turing machine with the computer in a traditional and rather weak sense. There is more. Hopcroft et al. also essentially equate Turing machines and computer programs. My contention, in contrast, is to view a Turing machine as one possible mathematical model of a computer program. A finite state machine is yet another mathematical model of a computer program. Hopcroft et al. claim that the Turing machine is better than the finite state machine (see below). I, however, view neither model to be better, for it all depends on the engineering task at hand. So, to make the undecidability proof work, the authors have decided to model a composite system: a real computer with a human being. No-nonsense engineers, by contrast, will prefer to use a weaker model of computation and stick to the system at hand: a real computer and nothing more. Hopcroft et al. also do not discuss alternative models of computation. Based on their motivations not to use finite state machines, I would opt for a linear bounded automaton and not a Turing machine. But, of course, if I do that then the much-wanted undecidability result does not hold (for linear bounded automata have a decidable halting problem). That, in short, explains why mainstream computer scientists heavily defend the Turing machine as the one and only viable model of computation in an average computability course. 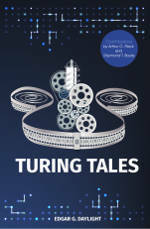 To get a more coherent view on what is going on, and how to fix it, I gladly refer to my latest book Turing Tales . In sum, critical readers who resist indoctrination become amused when reading Hopcroft et al. 's Chapter 8 (`Introduction to Turing Machines'), not to mention the peer pressure provided via Lance Fortnow's blog post in reply to another critical software scholar: Peter Wegner. A much better dissemination strategy, I believe, is to remain solely in the mathematical realm of Turing machines or other — yet equivalent — mathematical objects when explaining undecidability to students, as exemplified by the textbooks of Martin Davis [3, 4]. A separate concern, then, is to discuss and debate how that mathematical impossibility result could — by means of a Turing complete model of computation — have bearing on the engineered artifacts that are being modeled. The writings of Robert Floyd , Benjamin Pierce , and Joe Wells , just to give three names, show that undecidability most definitely has a practical role to play when used properly. But I have yet to come across a textbook on computability theory where “modeling” is the most prominent name of the game. A lot of the above remains controversial in mainstream computer science. 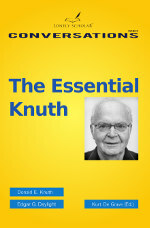 I recommend consulting the many references provided in my book  and also the related — but not necessarily similar — writings of Peter Wegner [13, 14, 15], Carol Cleland [1, 2], Oron Shagrir [11, 12], and Edward A. Lee  in order to get the bigger picture. C.E. Cleland. Is the Church-Turing Thesis True? Minds and Machines, 3:283-312, 1993. C.E. Cleland. Recipes, algorithms, and programs. Minds and Machines, 11:219-237, 2001. M. Davis. Computability and Unsolvability. McGraw-Hill, New York, USA, 1958. M. Davis, R. Sigal, and E.J. Weyuker. Computability, Complexity, and Languages: Fundamentals of Theoretical Computer Science. Morgan Kaufmann, second edition, 1994. R.W. Floyd. On the nonexistence of a phrase structure grammar for ALGOL 60. Communications of the ACM, 5:483-484, 1962. J.E. Hopcroft, R. Motwani, and J.D. Ullman. Introduction to Automata Theory, Languages, and Computation. Addison Wesley / Pearson Education, 2007. J.E. Hopcroft and J.D. Ullman. Formal Languages and their Relation to Automata. Addison-Wesley, 1969. B.C. Pierce. Bounded quantification is undecidable. In Conference Record of the Nineteenth Annual ACM SIGPLAN-SIGACT Symposium on Principles of Programming Languages, pages 305-315. ACM Press, 1992. O. Shagrir. Effective computation by humans and machines. Minds and Machines, 12:221-240, 2002. O. Shagrir and I. Pitowsky. Physical Hypercomputation and the Church-Turing Thesis. Minds and Machines, 13:87-101, 2003. P. Wegner. 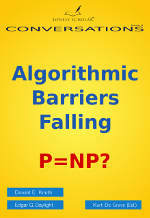 Why interaction is more powerful than algorithms. Communications of the ACM, 40(5), 1997. P. Wegner and D.Q. Goldin. Computation beyond Turing machines. Communications of the ACM, 46(4):100-102, 2003. P. Wegner and D.Q. Goldin. Principles of problem solving. Communications of the ACM, 49(7):27-29, 2006. J.B. Wells. Typability and type checking in System F are equivalent and undecidable. Annals of Pure and Applied Logic, 98(1-3):111-156, 1999.